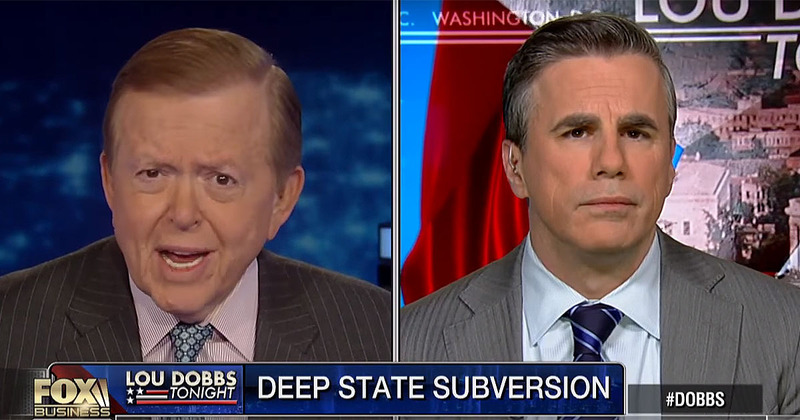 Lou Dobbs opens his interview with Tom Fitton of Judicial Watch with an excerpt of the back and forth between the Justice Department and House Intelligence Committee chairman Devin Nunes. Fitton says he never bought the story about the “missing” text messages and notes that they were miraculously discovered a few hours after Judicial Watch sued for them and that they’ve seen this obstructionism before with the IRS and the FBI relating to Hillary Clinton. Regarding lack of transparency and the obstructionism at the State Department and DOJ, Fitton says, “The deep state is in full control over there [DOJ], thanks to the leadership just checking out on these transparency issues and refusing to be brave on these transparency issues,” that they’ve invariably had to sue to get documents that should simply have been handed over to them. 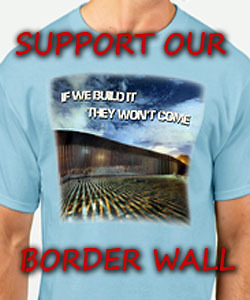 He reminds us this is out of the new administration, not the Obama administration. He says, “I think he’s been put in a box as a result of this illicit criminal investigation into him, that he can’t talk about declassifying the dossier documents or the FISA warrants or the unmasking documents.” Dobbs puts forth the idea that Trump doesn’t have to talk about it. He could just order Sessions and Tillerson to cooperate in the spirit of the right of the American people to transparency in their government. I am confused as well. Trump is supposed to be a leader, a genius, and a patriot. How can any one of those characteristics go along with what is going on? Unless this is the biggest game of all time it will not end well if it continues as is. the President NEEDS TO PUT HIS FOOT DOWN AND DEMAND SESSIONS DO HIS JOB OR GET RID OF HIM. and those messages weren’t LOST, they were giving time i feel to CLEAN THEM UP. we NEED TO SEE THOSE MEMOS, AND OTHER DOCUMENTS ASAP. Good luck ever seeing the snakes eye.